A famous Hollywood screenwriter once opined that the only real reason anyone ever made a sequel was “money.” A franchise is all about the coin. On the other hand, there have been tons of successful works that didn’t trigger direct sequels or remakes: E.T. Titanic. The Lion King. Forrest Gump. Citizen Kane. Casablanca. The rule is less obvious in musical theater — why go to all the effort to take a mulligan when you can just trot out revivals, do national tours, reinvent a staging… and not be burdened with having to write an all-new score? Which sort of sets Love Never Dies apart. 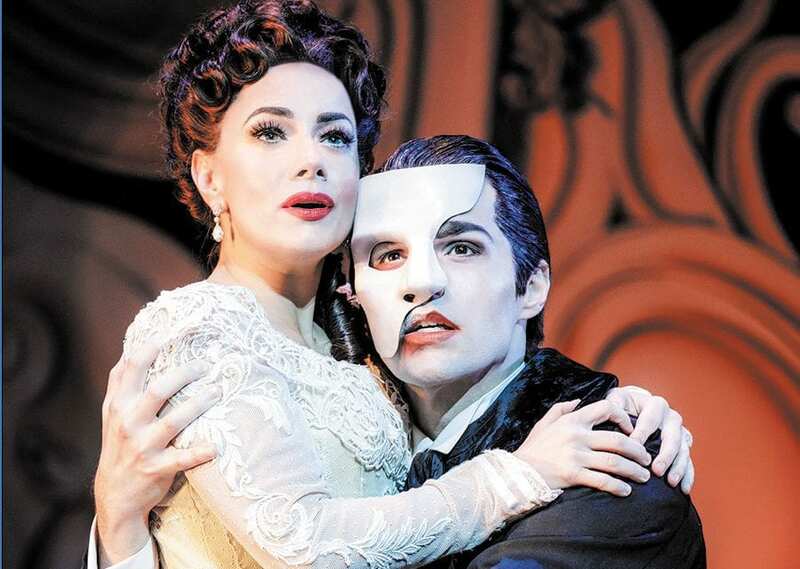 A direct follow-up to The Phantom of the Opera, it’s Andrew Lloyd Webber’s second bite at the apple that is the longest-running, most profitable musical in history. The question remains: Why? Only it didn’t turn out that way. Webber began working on a sequel to Phantom decades ago, but it never came to pass. Then, after a career lull of more than 20 years — five shows, with only Sunset Boulevard gaining any sizable traction — in 2010 he finally trotted out his new show pony… and…. Crickets. No bites. Bad reviews. It never even opened on Broadway. So the appearance of Love Never Dies on the Dallas Summer Musicals’ lineup (the original Phantom actually kicks off next season) and now moving, tomorrow, to Bass Hall courtesy of Performing Arts Fort Worth, is something of an outlier, based on an Australian director’s devotion to making the show work. The problem is, what made the original Phantom a phan-omenon wasn’t so much the character development, but the grandly overwrought romance about a ghoulishly deformed Svengali whose obsession with his talented young singing protege, Christine, fed them both emotionally and creatively. We didn’t know quite how the Phantom ended up haunting the halls of the Paris Opera, and there wasn’t a lot of authenticity to their emotional maturity. He was a stalker, she was a child unprepared for the consequences of being exploited by a much older man. The relationship at its heart was more unnerving than uplifting. Oh, and Webber wrote some damn good songs for it, too: “Think of Me,” “Angel of Music,” “Music of the Night,” “All I Ask of You,” “Masquerade,” the title number. So the fact Love Never Dies concentrates almost exclusively on the characters, and delivers not one ear worm to hum along to on the ride home, makes for a rather drag two and a half hour slog through the corridors of a Coney Island funhouse. The issue of parentage, which turns into a key plot point, comes as no surprise, which deprives the show of any dramatic thrust. And the way Raoul and Christine’s relationship is portrayed as one of sniping hatred seriously undercuts the legacy of the original. And yet… I didn’t hate Love Never Dies. The concept of a twisted freak show populated by creep circusfolk actually works at creating an atmosphere very different than the original. The singers all perform tremendously — their voices and acting are beyond reproach. They are simply left without any songs worth singing. But there are a few emotionally relevant moments, and while not memorable, it doesn’t leave any ill-will. Sequels aren’t artistic enterprises, even in theater. But they have some appeal. Love Never Dies at Bass Performance Hall in Fort Worth, Aug. 7-12. BassHall.com.